Site surveys are essentially important in this modern age. Site survey examples help to understand the performance of a number of sites and how are they faring with the search engine optimization system. For this however, a very smart and subtle as well as quirky survey form needs to be designed. Again it has a number of reasons for having to be so. 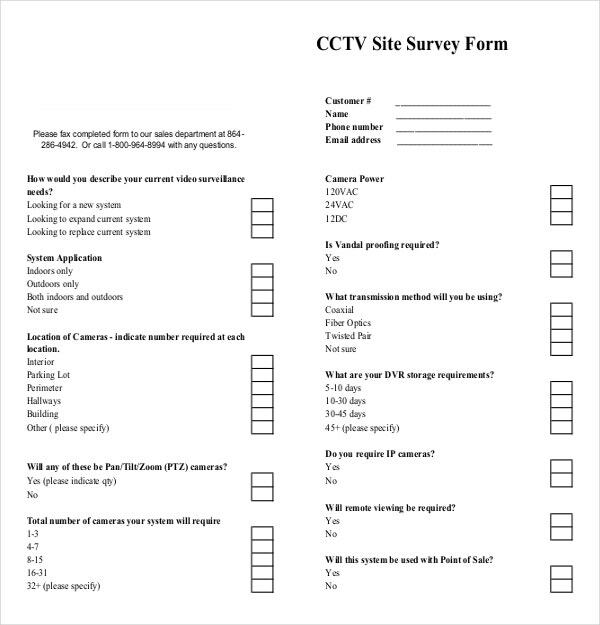 The site survey forms are mostly filled out by young people or people who have a fair knowledge of computers and the internet. 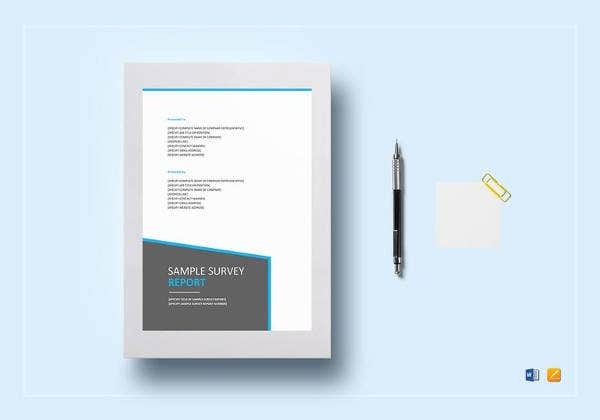 You may also see Free Survey Template. 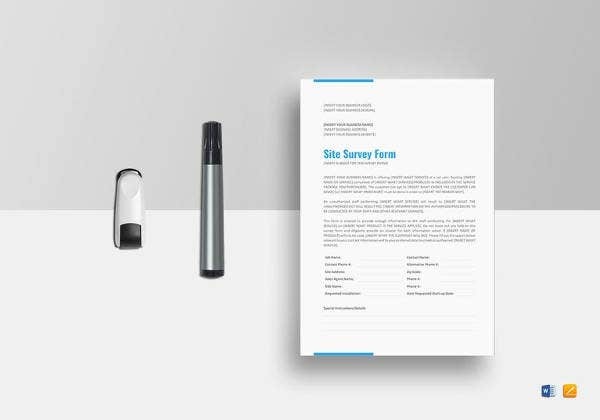 Although the age group cannot be really zeroed down on, it can be surely said that the site survey forms are a thing only for the most educated people. They therefore need to be subtle and this site provides you with some Survey Templates that have this exact attribute about them. > Why do you need Site Survey Templates ? 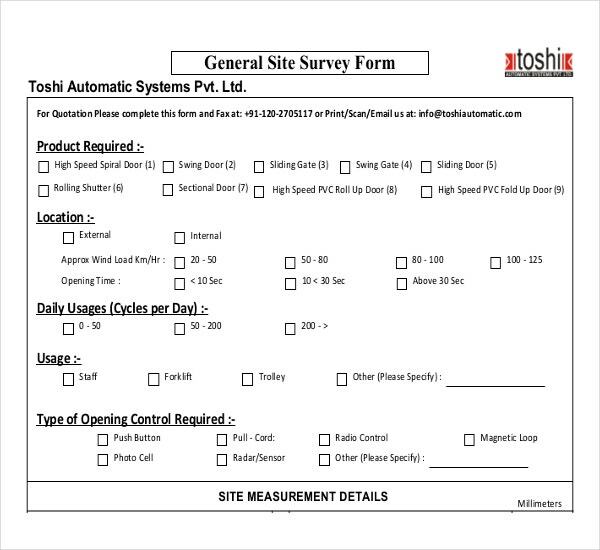 Site survey templates are beneficial in various ways. To develop a business, surveying sites play a very important role. 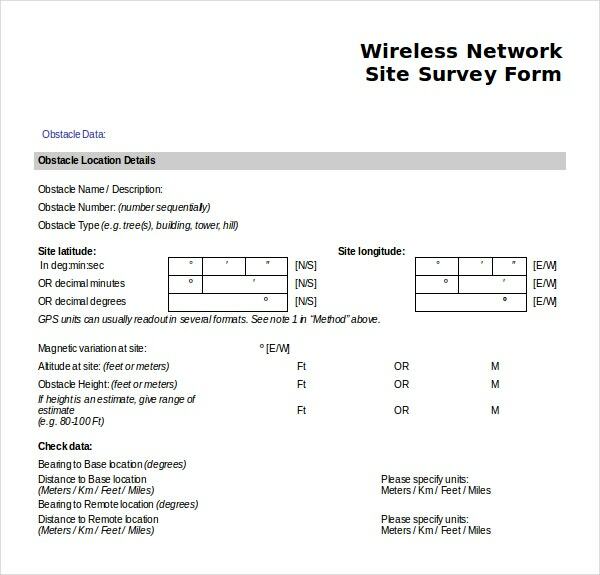 Site surveying is a great way of understanding the feedback of the customers. 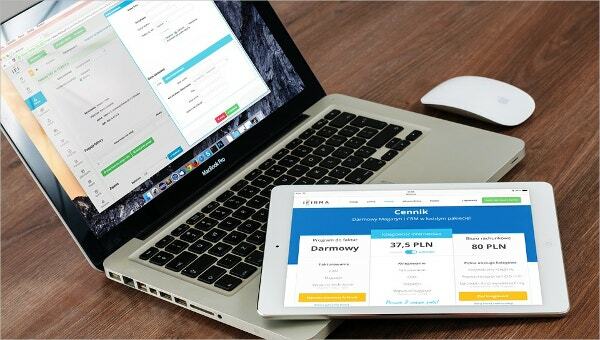 It lets you know about your product, features and services. 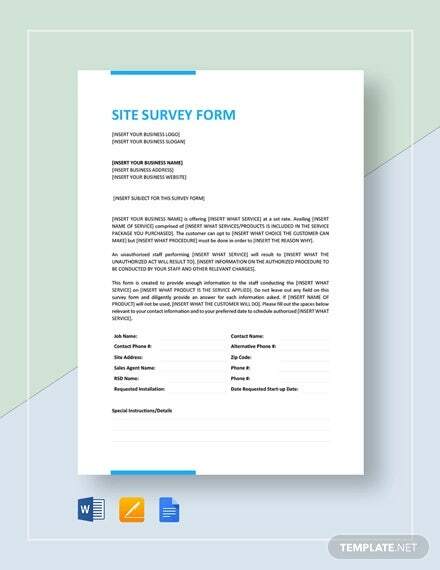 The site survey templates helps you to understanding the market better and lets you maintain a competitive edge. These templates help you to fathom the needs of a website visitor and the efficiency of the products and services of your business. 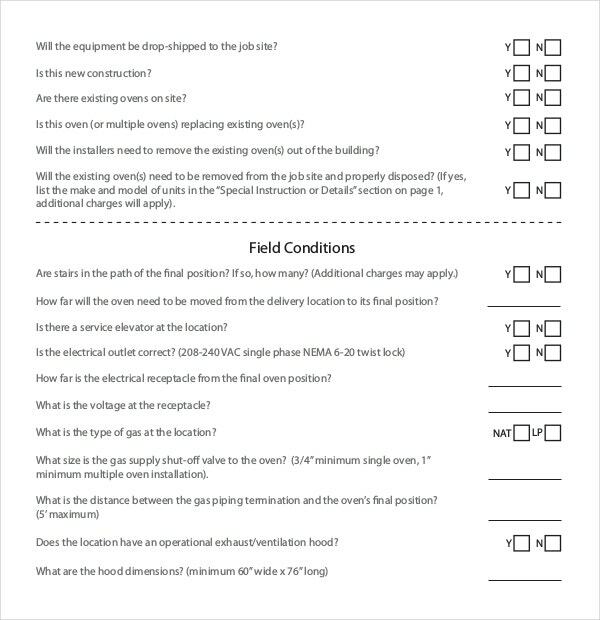 > How to create your own Site Survey Templates? 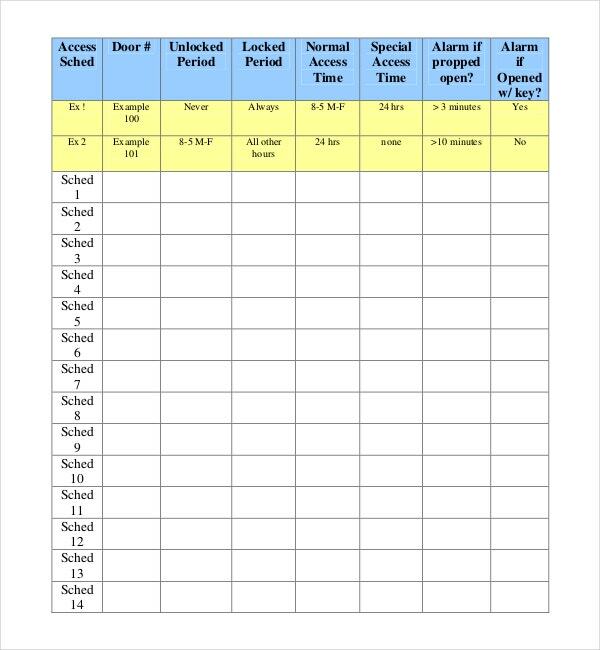 • Download a blank template. • Give an attractive background to the template. 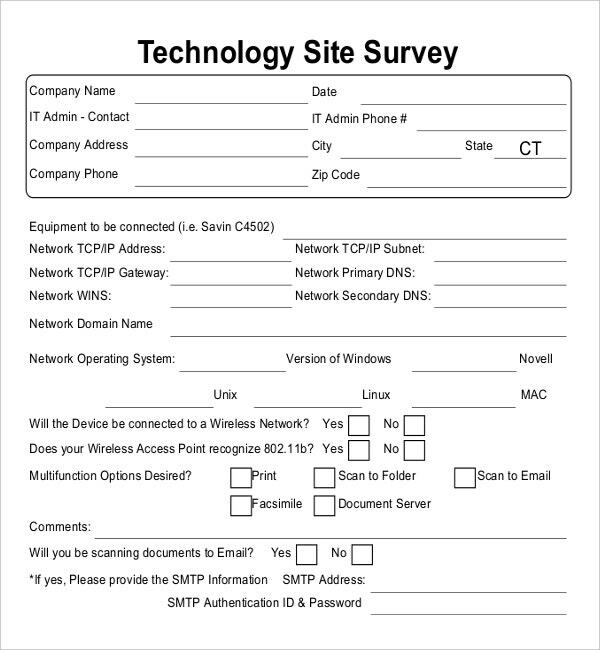 • Add a title to your survey. • Use various text fonts and colours. • Use bold fonts to highlight the important points. • Add content to your template. Ask range of questions related to your services. Ask them for their feedbacks and valuable advice. • Esquire about their likes and dislikes. • Add survey details in the end. 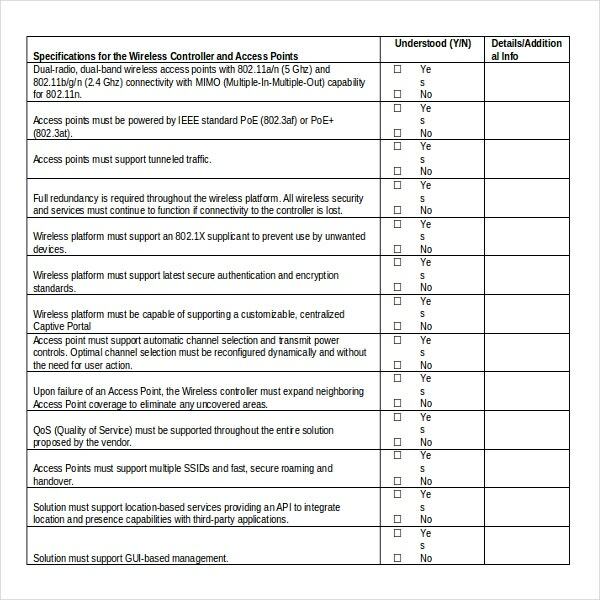 > What is the purpose of creating Site Survey Templates? • To gain customer feedback and their advice. • To know what the customer thinks about your business services and products. • These templates are created for understanding the market better. • To cope up with the needs of the customer. • Try Working on a blank template instead of a ready made template. 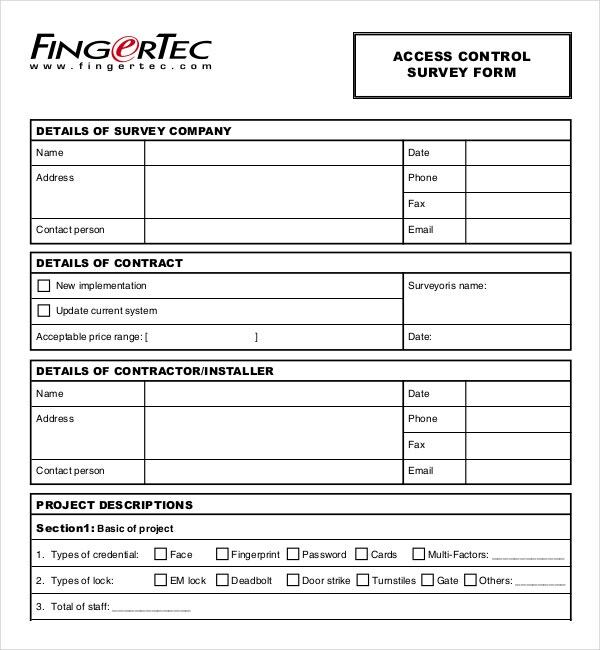 • Keep your survey contents formal and well structured. • Keep the title short. • Keep the contents simple and precise. • Make sure your content is informative. • Ask genuine questions and provide option for each of them. • Do not ask anything beyond your capabilities. • Do not overuse bold fonts and color texts. It makes it tough for the customers to read.